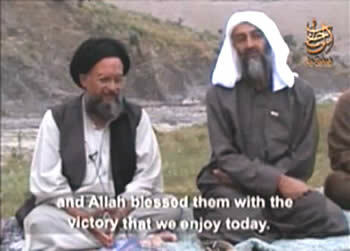 Ayman al-Zawahiri, left, sitting next to Osama bin Laden, praises those who attacked the United States on September 11, 2001 (YouTube video, April 15, 2002). 1. On June 16 Al-Qaeda announced that after a period of consultations, Dr. Ayman al-Zawahiri had been appointed as Osama bin Laden’s heir. 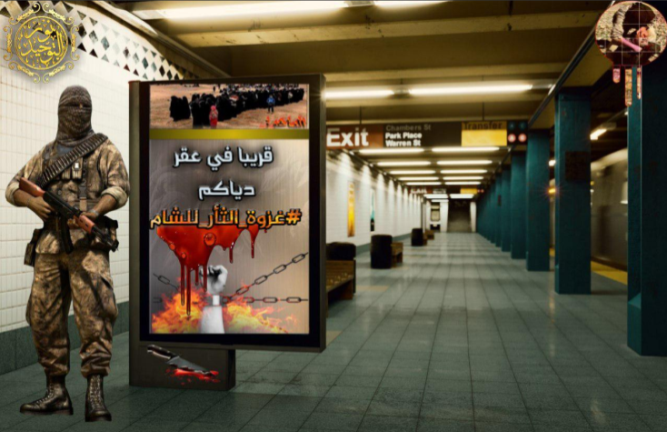 The announcement stressed Al-Qaeda’s commitment to jihad, which was the "personal duty of every Muslim." The jihad would be waged against the various "infidels" – the United States, Israel and the Arab-Muslim rulers, "until the Resurrection. "1 This study profiles Ayman al-Zawahiri, his ideology and activities, and evaluates the possible outcome of his appointment as leader of Al-Qaeda. 2. Sheikh Dr. Ayman Mohammed Rabi’a al-Zawahiri (Abu Mohammed) was born in 1951 to a wealthy family whose members held senior positions in the Egyptian religious establishment. His piety was evident from an early age, and at 14 he joined the Muslim Brotherhood. In his youth he was influenced by the ideology of Sayyid Qutb, a central figure in the Muslim Brotherhood, who developed the radical Islamic ideology from which the extremist faction of the Muslim Brotherhood sprang. He began studying medicine at the University of Cairo in 1968 and graduated with honors in 1974. He specialized in surgery at a university in Pakistan, receiving a PhD, again graduating with honors. 3. When Sayyid Qutb was executed by Nasser in 1966 and thousands of Muslim Brotherhood activists were imprisoned, al-Zawahiri, along with a number of other young men, set up an underground cell (1966-1967) with the intention of overthrowing the Egyptian regime and establishing an Islamic government. During the 1970s, while still at school, he joined an extremist Islamic organization called the Islamic Jihad, which was behind a wave of terrorist attacks in Egypt, and became one of its most prominent operatives. In 1991 he formally became the organization’s head. 4. Following the assassination of Anwar Sadat in October 1981, al-Zawahiri was arrested along with other radical Islamic operatives. He was cleared of involvement in the assassination because of lack of evidence, but convicted of membership in a terrorist organization and having weapons and explosives in his possession. He was sentenced to a term of three years in prison, which he served from 1981 to 1984. In his book Knights Under the Prophet’s Banner he said that assassinating Sadat was part of a comprehensive program of assassinating senior figures in the Egyptian regime and using the army to take over vital broadcasting stations. 5. After his release from prison he went from Egypt to Jeddah in Saudi Arabia to practice medicine and to promote the activities of the Egyptian Islamic Jihad beyond the borders of Egypt. There he apparently met Osama bin Laden for the first time, and from Saudi Arabia he went to Pakistan and Afghanistan to wage his jihad against the Egyptian regime. While in Peshawar, Afghanistan, he founded an organization called Talai’i al-fath ("pioneers of conquest"), which in effect served as the operational wing of the Egyptian Islamic Jihad. He established a network of bases, training camps and headquarters, all with the support of Osama bin Laden. 6. At the beginning of the 1990s al-Zawahiri and bin Laden went to Sudan, where they set up a network of bases. During the 1990s he also set up a new network in Yemen, from which he conducted a campaign of terrorist attacks against Egyptian targets, both inside and outside Egypt. He was also involved in an attempt to assassinate Egyptian President Hosni Mubarak and the murder of tourists in Luxor in 1997. He was apparently also involved in the attempted assassination of President Mubarak in Ethiopia in July 1995. Because of his involvement in terrorist attacks, he was sentenced to death in absentia in Egypt, April 1999. 7. Al-Zawahiri’s involvement in terrorism in the 1990s did not focus only on the Egyptian arena. In the middle of the decade, instructed by bin Laden, he constructed Al-Qaeda terrorist networks in Britain and the United States, strengthened the radical Islamic militias in the Balkans, supported radical Islamic groups in Somalia and Ethiopia and aided the rebels in Chechnya. In 1996, with two other operatives, he tried to enter Chechnya and was arrested by the Russian security forces, only to be released "for lack of evidence." 8. At the beginning of 1998 al-Zawahiri and Osama bin Laden founded the International Islamic Front for Jihad against Jews and Crusaders. It was an umbrella network for Al-Qaeda, the Egyptian Islamic Jihad and various radical Islamic organizations operating in countries such as Pakistan, Bangladesh, Kashmir and the Philippines. 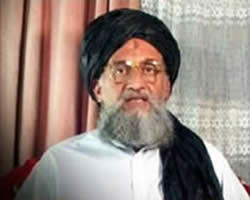 Al-Zawahiri became bin Laden’s deputy in the Front and second in command of Al-Qaeda. In June 2001 al-Zawahiri announced the formal union of all the organizations, whose official name is [Tanzim] Qaedat al-Jihad (the formal name of Al-Qaeda to this day). 9. In February 1998 Qaedat al-Jihad issued an appeal calling for the killing of Americans throughout the world, saying it was the "personal duty" of every Muslim. In practical terms, Al-Qaeda initiated a campaign of global terrorism against the United States, beginning with the terrorist attacks of the American embassies in Kenya and Tanzania in August 1998, and culminating with the September 11, 2001 attacks. 10. Al-Zawahiri continued holding key positions in Al-Qaeda (as far as is known, he was responsible for producing anthrax spores for the organization) and became even more dominant than bin Laden in Al-Qaeda’s global propaganda campaign. 1) As noted, al-Zawahiri was particularly influenced by the radical Islam of Sayyid Qutb, according to which the Arab-Muslim regimes ("the internal enemy ") were no less dangerous than external enemies. His ideology justified using violence and terrorism against them, since, it claimed, they had deviated from the precepts of Islam and did not govern according to religious Muslim law (the Shari’a). He was also influenced by Dr. Abdullah Azzam, a Palestinian from northern Samaria, who became Osama bin Laden’s ideological mentor. 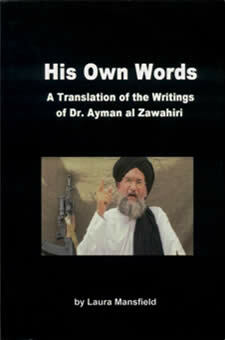 Azzam developed and institutionalized the concept of jihad as the "personal duty" of every Muslim. 2) Based on experienced gained from decades of terrorist activity, al-Zawahiri formulated his worldview of radical jihadist Islam. According to his worldview, a global jihad movement was necessary, based on a territorial infrastructure which would serve as a "hothouse" for breeding the jihadist campaign (in a region such as Afghanistan, although al-Zawahiri would have preferred to locate the hothouse in the Arab Middle East). Young men imbued with radical Islamic ideology would be sent from the hothouse to wage a violent campaign against Islam’s various enemies: the "treacherous" Arab-Muslim regimes, the superpowers (the United States, the main enemy, and Russia), other countries hostile to Islam (especially those in Western Europe), and the State of Israel, as well as Jews around the world. 12. Al-Zawahiri’s ideology expresses particular hostility and hatred for the State of Israel, which he regards as the spearhead of the Christian West (the "Crusaders") in the Middle East, and to the Jews in general (his ideology incorporates anti-Semitic motifs directly from The Protocols of the Elders of Zion). 13. Al-Zawahiri calls for a violent jihad against Israel as the only way to "liberate Palestine," and advocates attacking Jews around the globe. Israel was also mentioned in the Al-Qaeda announcement naming al-Zawahiri as its leader. In our assessment, under al-Zawahiri Al-Qaeda will increase its attempts to attack Israel. As for the Jews, al-Zawahiri has often specifically instructed Muslims to attack Jews beyond the borders of Israel, and Al-Qaeda has been and will continue to be involved in attacks against Jewish targets all over the world. At the same time, he will pursue his activities against Christians, the United States and Western countries, and against the Arab-Muslim regimes. 14. 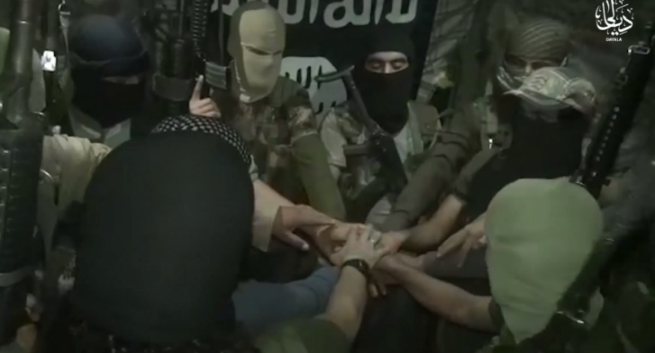 The uprisings taking place in the Arab world during the first half of 2011 are an ideological challenge for Al-Qaeda. That is because they are based, at least partially, on an agenda of freedom, which is completely opposed to jihadist ideology. 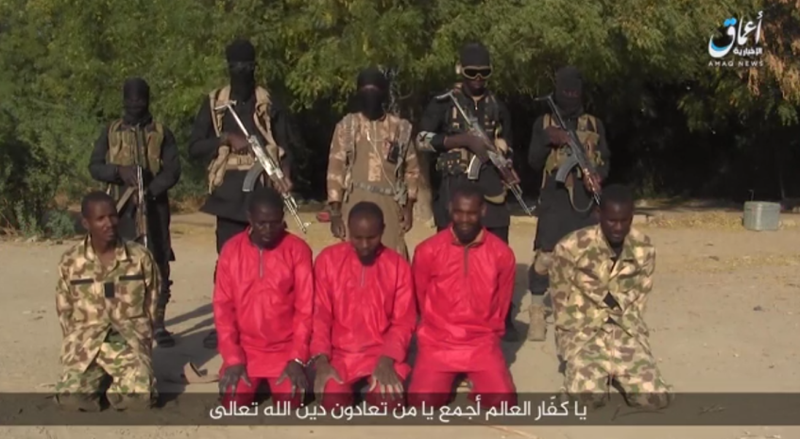 Moreover, Al-Qaeda and the Islamists have so far not played a significant role in them. Al-Zawahiri expressed support for the overthrow of regimes of Mubarak in Egypt and Ben Ali in Tunisia, accused them of corruption and serving the interests of the United States, encouraged the Libyan "jihad fighters" (mujahideen) for their actions against Qaddafi’s regime, and called for the establishment of "just Islamic regimes" in the Arab countries, where religious Islamic law (Shari’a) would prevail. He also expressed support for the uprisings in Syria and Yemen. 15. Al-Zawahiri’s appointment to the leadership of Al-Qaeda was expected, although it took several weeks instead of occurring immediately. He had the reputation of being the "brain" behind Al-Qaeda and its head ideologue,2 amassed considerable operational and organizational experience in terrorism and possibly, at various times in recent years, even the de facto head of the organization. 16. According to Al-Qaeda’s bylaws written 2002, which are apparently still in force, the organization’s second in command is supposed to succeed the leader (emir) should he be killed or captured without hope of release.3 Appearing in a video issued on June 8, 2011, a month after the death of bin Laden, al-Zawahiri promised the United States he would continue Osama bin Laden’s path of jihad, thus positioning himself as bin Laden’s heir [at that time there had not yet been an official confirmation of his appointment, which came eight days later]. 17. The possible consequences of al-Zawahiri’s appointment for Al-Qaeda’s nature and methods are the following: Ideologically, because of his usually close cooperation with bin Laden and their mutual worldview, it is unlikely that significant changes will be made in its concept of waging a global jihad against the United States and its allies. However, it is possible that changes may occur in Al-Qaeda’s order of priorities, due to al-Zawahiri’s worldview, personality, Egyptian origin and personal experience. 18. Al-Zawahiri’s Achilles’ heel, the fact that he does not have bin Laden’s charisma and his leadership is not a foregone conclusion, may influence Al-Qaeda in the future. 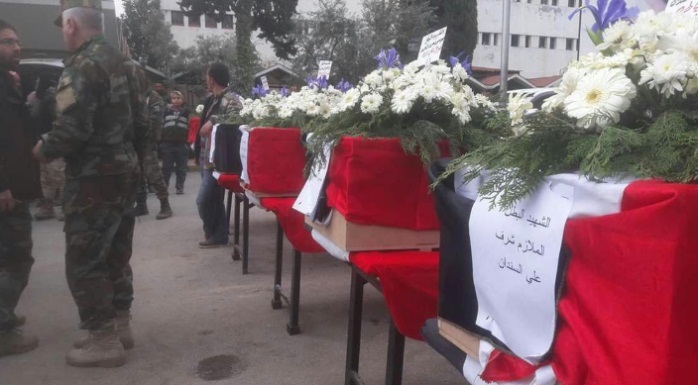 Thus potentially, power struggles may arise over the "inheritance" of the Al-Qaeda leadership, and charismatic local commanders with their own power bases or operational terrorist experience may make demands for leadership or act independently. 19. Al-Zawahiri may give high priority to terrorist attacks against Arab-Muslim regimes he considers Western collaborators and enemies of Islam, as well as against Israel (possibly from Al-Qaeda bases in the areas on its borders, especially the Gaza Strip) and against Jewish targets around that globe. He may emphasize terrorist activity in Egypt, exploiting the collapse of the Mubarak regime, the weakening of internal security control, the legalization of the Muslim Brotherhood and its return to the forefront of the political stage; and al-Zawahiri’s long experience with subversion and terrorism within Egypt. At the same time, the United States and Western countries will continue to be perceived as a prime target. 20. Organizationally, Al-Qaeda’s financial capabilities may be affected because al-Zawahiri lacks bin Laden’s resources. If that happens, its operational and logistic capabilities may suffer. It is also possible that there will be changes in Al-Qaeda’s structure and methods, with the decentralization of various local focal points, the result of possible power struggles and al-Zawahiri’s difficulties in enforcing his authority on local commanders in distant confrontation arenas. 21. This study is based on the following sources: an analysis of videos and audio cassettes issued by al-Zawahiri (many of them on YouTube); his book, Knights Under the Prophet’s Banner, translated into English by Laura Mansfield (first edition); a book in Arabic about al-Zawahiri by Montasser al-Zayat, an Egyptian lawyer affiliated with the Islamic movement, called Ayman al-Zawahiri As I Knew Him; an article by Dr. Nimrod Raphaeli about al-Zawahiri’s life and activities (published 2002); books and reports, including those issued by research institutes dealing with global terrorism; Islamic Internet forums; interviews with experts on Al-Qaeda and the global jihad which appeared in the global media and information based on security sources. 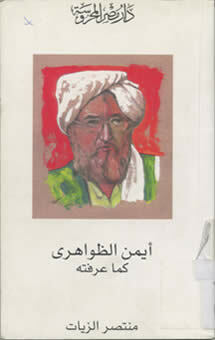 The front cover of Laura Mansfield’s book, containing the translations of the first edition of al-Zawahiri’s book and various public messages he issued. 1 The Al-Fajr Media Center quoted by Al-Arabiya TV, June 16, 2011. The announcement was issued by other jihadist sites as well. 3 http://www.ctc.usma.edu/wp-content/uploads/2010/08/AFGP-2002-600048-Trans.pdf, April 18, 2002.